1961 Y11130LCV | Phantom Grey/Red (Rare!) Y14042HE CA eBay 6/07; headed to Finland? 1960 Y12584LCV RC1242 | dk red Y14440HE Larry...?? Y15177LCV on eBay awhile back! 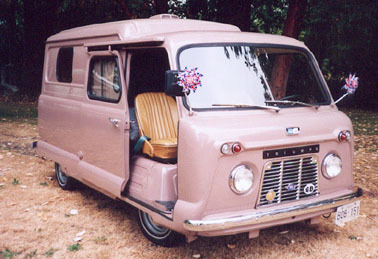 1961 Y20797LCV [was Grossmeier, Alan; WI] For sale? 1965? 1GA25219LDL [GD40708HE] Hawes, Robert; ?? 1962 GA40810LCV | red/beige on eBay; WI; 4/04! 1962 GA57645LCV RAT6823 | powder blue/grey GA92599HE was in CA; now "overseas"
GA59890LCV red Morrison, Sam; SK, CANADA. 1963 GA87163LCV RAT 81174 |white/red GA85554HE Bowe, Michael; WV For Sale! 1963 GA91532LCV Norman, Jerry; ?? GA96463LCV RAT82958 | [white/red] blue/blue Spooner, Kevin; ?? "The history of the car as follows: It was bought by a Canadian diplomat to France. He bought it in Belgium thus the yellow front lights. 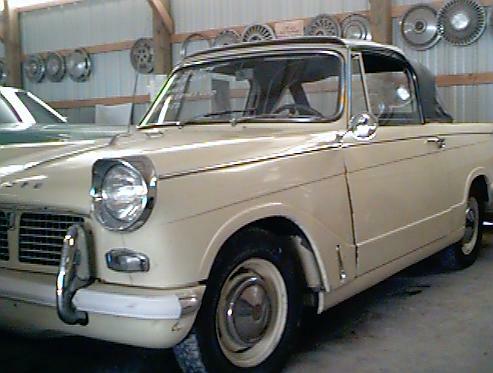 It is a 1963 and it was brought back to Quebec by the diplomat and it sat in garage for 30 years. 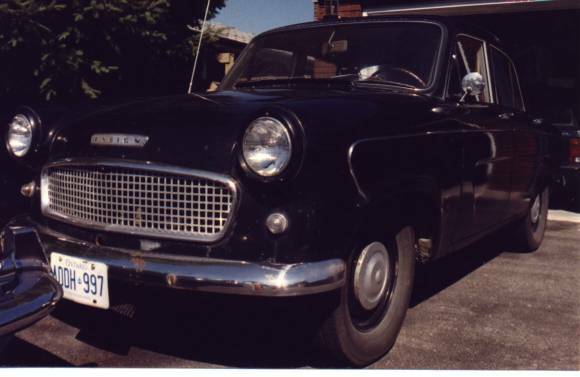 In 1998 an older English couple (the Muggletons) bought it and their son had a frame off restoration done. They have $21,000 in bills they sent me when I bought it off them. We added the chrome truck rack, suit case and wide whites and I have had it 1 ½ years and am loving it...."
"GB" series, a.k.a. 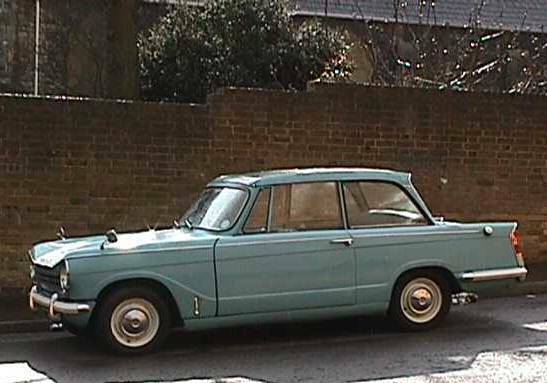 "Mk II 1200 Export"
1965? GB30218LDL 147462GAT | 26/? 1965 GB30608LDL 19/12 VA; parts? 1967 GB32770LCV 25/15 VA; eBay 3/15. VA; eBay 11/15. KY; eBay 9/16. 26/16 PA; eBay 2/19 – parts? GB37733LCV 102132RAT | 11/12 Mace, Andrew; NY. The "sign" car! 1966 GB38546LCV 19/11 ?, Wayne; ?? 1965 | 10-29-65 GB39055LCV RAT103222 | 19/11 GD69663HE Sheppard, Dan; TN. 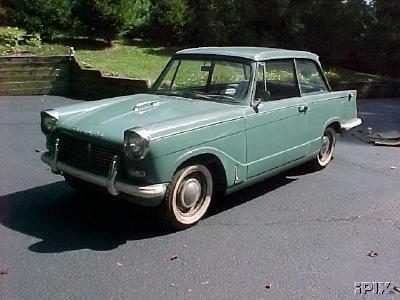 Dispatched: 11-24-65; original dealer: Standard Triumph Motors Inc., New York. 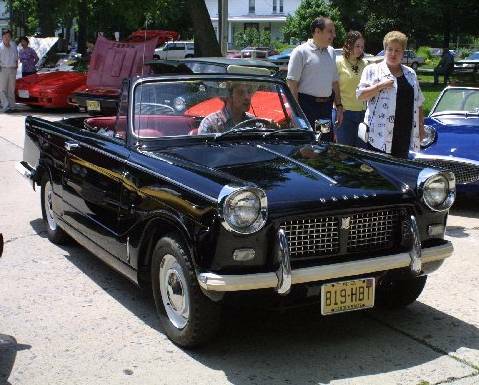 NOTE: Only sedan and convertible Herald 1200s were routinely sold in the United States. However, the Coupé and Estate Wagon could be built to US specification via the Personal Export Delivery scheme. 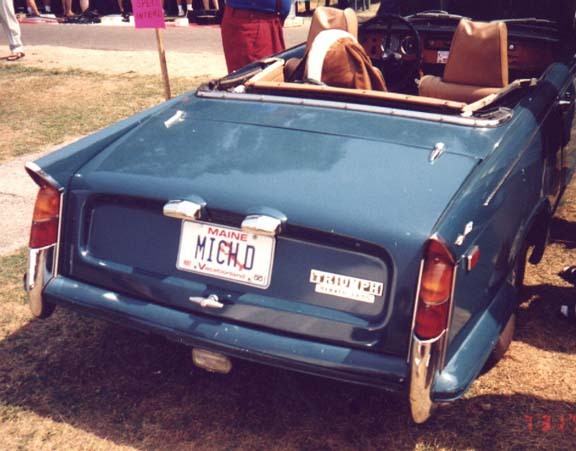 Additionally, a small number of Estate Wagons were built to US specification for use by Standard-Triumph USA staff. 1969 1GH121LCV 9RHT | [19/11] FF223E ?